Beanie, Beauty Mark, Wrinkles & All! as the only things highlighted in color. It makes me laugh to think, this is what I look like to my family most of the time. 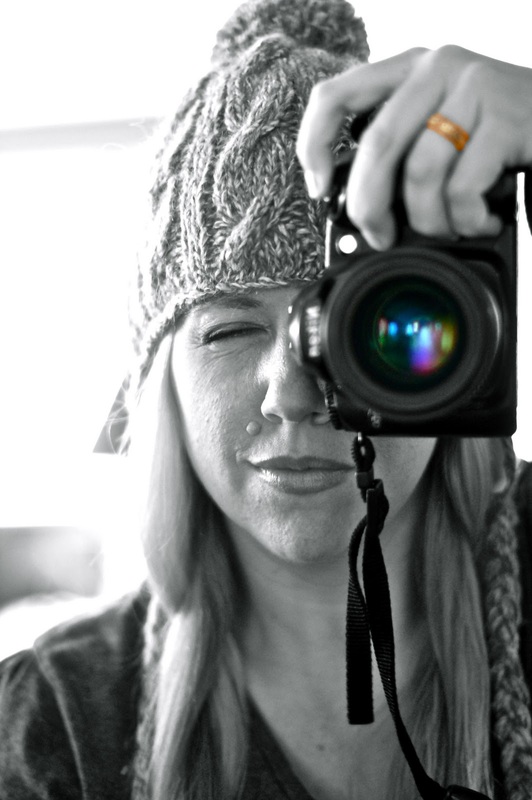 SELF PORTRAIT is this week's theme over at i heart faces. Love the added colour! Great self-portrait! i think youre gorgeous. love the beauty mark!! please teach me how to highlight colors like that! That added color is great! I found your blog via "Picture the Holidays." I'm doing Reverb10 too. Loving both. Hard to find the time, but I still do. And I loved this self-portrait. Saved it as one of my favorites. I look forward to seeing more of your photos this month!